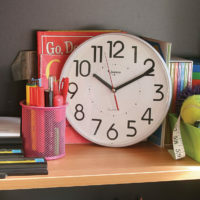 Categories: Analogue Clocks, School. 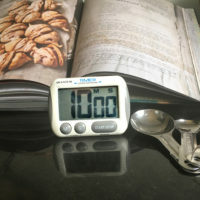 Tags: Food Safe Clock, Office clock. 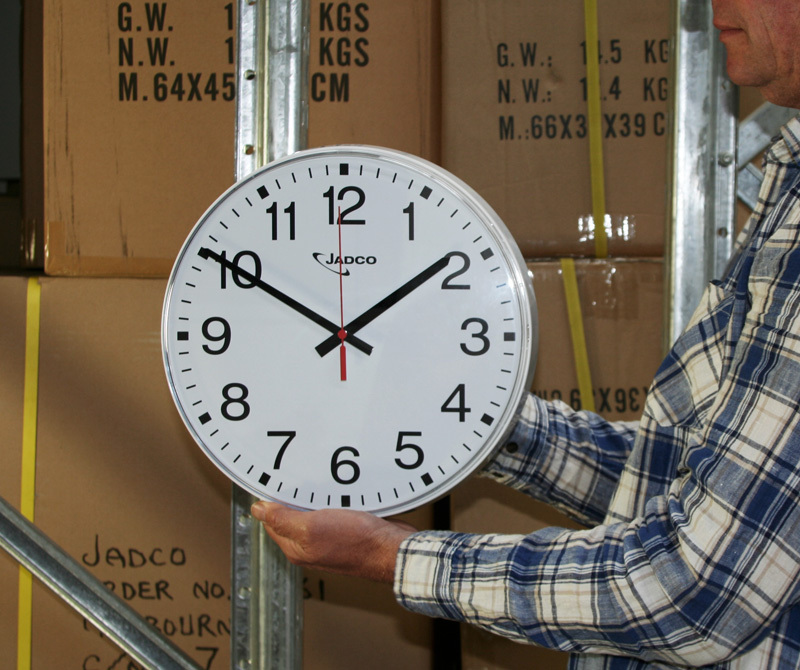 The 6200 analgoue wall clock has a convex lens that encases the edge of the dial allowing for easy viewing from all angles. 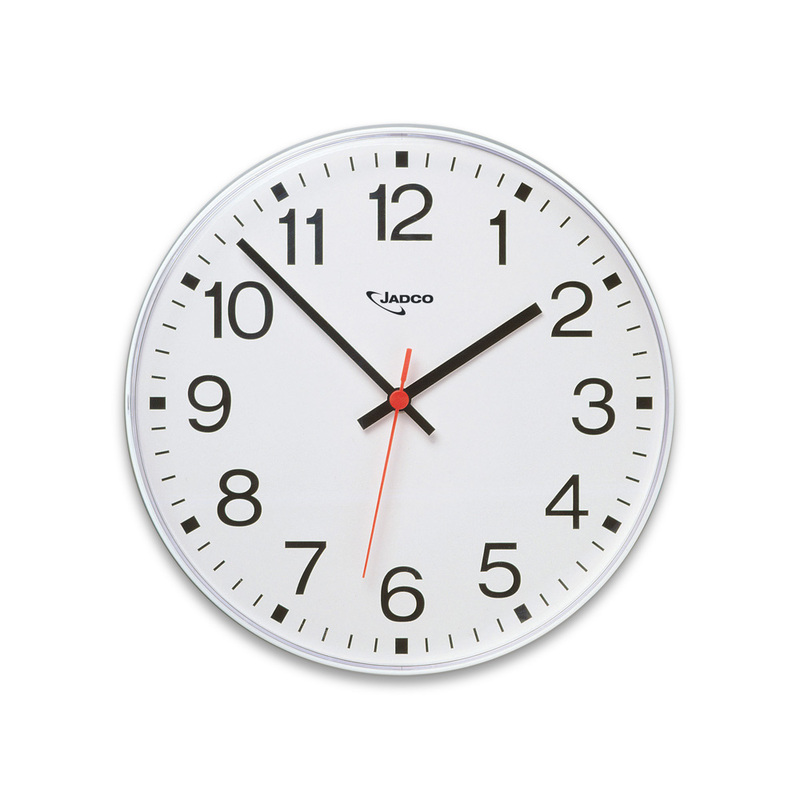 This combined with easy-to-read numerals and clean uncluttered hands makes for a streamlined clock that works well in most situations. 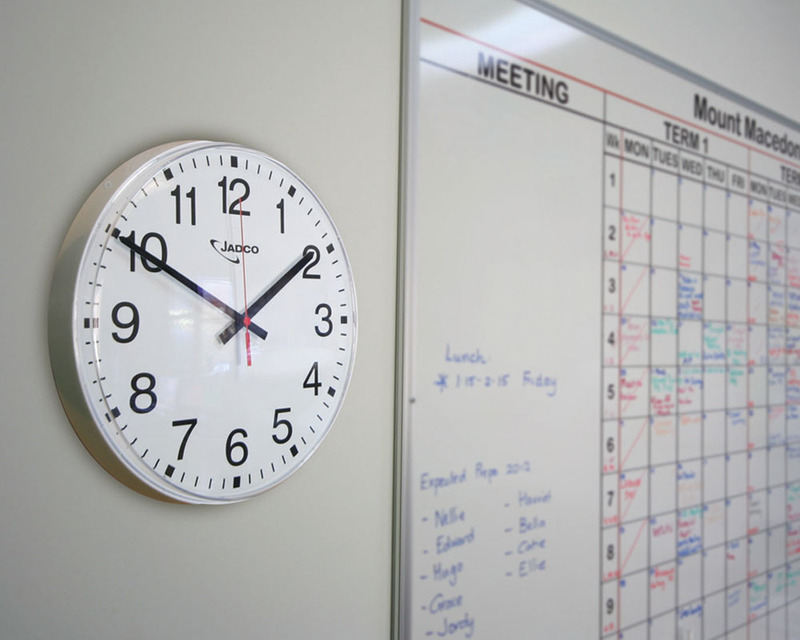 The clock has a 300mm face that can be read up to 15 meters away and incorporates a quality quartz movement.